Though neither Microsoft nor Apple would care to admit it, Windows and OS X are in many ways strikingly similar. That’s good news for switchers: If you’re familiar with Windows, adjusting to OS X is less like learning how to drive than figuring out the controls in a new car. Windows XP is Mac-like in many ways; Windows Vista is even more so; and Windows 7 is the most Mac-esque version to date. 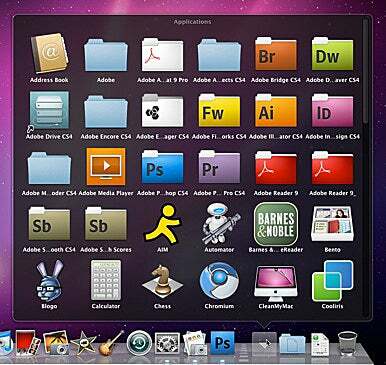 Some features in the two operating systems, such as Windows Vista’s search and OS X’s Spotlight, are practically identical. Keyboard commands you know from Windows tend to work in OS X, too, as long you hold down the Command key instead of Ctrl. Even Alt-Tab app-switching is nearly identical, except that you use Command-Tab instead. What’s different As familiar as OS X may feel in many ways, a few fundamental differences can trip up anyone accustomed to Windows. For instance, in Windows, menus are attached to application windows. But in OS X, there’s a permanent Menu Bar affixed to the top of the screen. Specific items on that Menu Bar may change, depending on the app you’re using. But many of its elements (particularly those on the right side) stay the same no matter the app. The left-side menu with the little Apple logo stays the same no matter which app you’re using. It contains some essential system-management features, including Software Update (a less intrusive counterpart to Windows Update) and the Sleep, Restart, and Shut Down options that Microsoft puts in Windows’ Start menu. It’s also where you’ll find System Preferences, OS X’s equivalent to Windows’ Control Panel. The buttons in the upper-left corner of each window are also different. If you click the red circle (which would seem to be the same as clicking the X in the upper right-hand corner of a Windows window), you’ll close that window, but leave the application open. To shut down an entire app in OS X, you have to press Command-Q, or select Quit from the menu named after the app you’re using. (If, for example, you’re using Microsoft Word, you’d select Word -> Quit.) If you forget that the red circle only closes individual windows and not the application itself, you may belatedly discover that your Mac’s memory is bogged down by programs you thought you’d closed. As in Windows, OS X’s yellow button minimizes the window. But by default, minimized windows are tucked into the right-hand side of the Dock where they’re easy to miss. To minimize them into their icons on the left side, go to the Dock’s settings in System Preferences and select Minimize Windows Into Application Icon. OS X’s green button maximizes the window. But rather than expanding it to fill the entire screen, that button makes the window just big enough to comfortably accommodate the Web page you’re viewing, the word-processing document you’re editing, or whatever else the window contains. To make a window really big, drag it to the upper left-hand corner of the screen, then grab hold of its lower right-hand corner and drag until you hit the screen’s edge. Snow Leopard looks familiar in many ways. One important difference: the Menu Bar is fastened to the top of the desktop, not to individual application windows. Other essentials With any luck, you won’t need another item on that Apple menu very often: Force Quit lets you shut down applications that are misbehaving so badly that you can’t exit them through normal means. (OS X may run more smoothly than Windows, but programs can still choke, crash, and otherwise muck things up.) Using it is the equivalent of pressing Ctrl-Alt-Delete in Windows and then using the Task Manager to nuke an offending application, except that Force Quit tends to work faster and more reliably. Most of the time, uninstalling software is way easier than in Windows: Just find the unwanted program’s icon in Applications and drag it into the Trash. There are no uninstallers or folders full of related files to worry about, nor a Registry to get messed up if the uninstall goes badly. 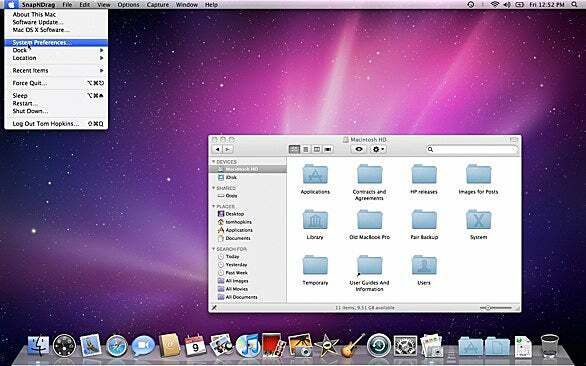 Among OS X's cooler features: Stacks sit in the Dock and give you one-click access to any folder. What’s better Before you finish exploring Snow Leopard, be sure and check out features that have no real counterparts in Windows. Stacks, for instance, is a bit like the Start menu but faster and more fun: Drag any folder into the right-hand region of the Dock, and from then on clicking on it in the Dock causes it to spring open, providing quick access to its contents. And Spaces (which you set up in the Expose and Spaces section of System Preferences) lets you create multiple desktops that you can switch between with a single keystroke. It’s kind of like a multiple-monitor setup that only requires one monitor. There’s no way I could explain everything about the Mac interface here. But among the platform’s many virtues—after its sleek design, consistent features, and lack of bloat—is its discoverability. Poke around and you’ll find all kinds of cool features and intelligent design decisions. All of which add up to one of the biggest benefits of switching to the Mac: In less time than you might think, you can go from clueless newbie to confident power user.